"Wonder Tales: Contemporary Canadian Women Writers and the Speculative Short Story." Power of Print: 2015. University Women's Club of Winnipeg. April 14, 2015. "War and Peace in the Graphic Novel." Two hour community class. McNally Robinson Booksellers. Sep. 2, 2015. 7:00-9:00pm. Click here to register. "Appreciating the Graphic Novel." Two hour community class. McNally Robinson Booksellers. Oct. 19, 2015. 7:000-9:00pm. Click here to register. “From Patriotism to Pacifism: Canadian Poetry of the First World War.” Two hour community class. McNally Robinson Booksellers. Aug. 28, 2014. “In Conversation with Chester Brown.” Public event to mark 10th Anniversary of Louis Riel: A Comic Strip Biography. McNally Robinson Booksellers, co-sponsored by St. Boniface Museum. Winnipeg. Oct. 22, 2014. There is No Pure Canuck". The Winnipeg Review. June 13, 2012. "A Graphic History: Father's Militant Path Cuts Across Continents, Decades." Rev. of Fatherland by Nina Bunjevac. Dec. 27, 2014. "Stars Struck: Scandals, Struggles with Excess in Hollywood Not New." Rev. of Scandals of Classic Hollywood by Anne Helen Peterson. Nov. 15, 2014. “Fresh Takes on Great War.” Rev. of The Harlem Hellfighters by Max Brooks and Canaan White and Above the Dreamless Dead: World War I in Poetry and Comics by Chris Duffy. Aug. 23, 014. “Order Up: Artist Draws on Her Past for Tales of 1970s Diner.” Rev. 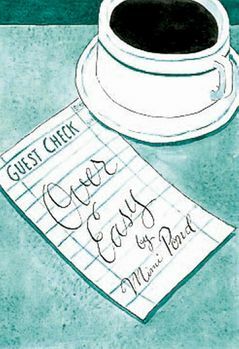 of Over Easy by Mimi Pond. Jun. 7, 2014. "Comedy, Catastrophe in Lesbian Stories.” Rev. of On Loving Women by Alanis Obomsawin. Mar. 1, 2014. “Rebel With a Cause.” Rev. of Rebel Woman: The Margaret Sanger Story by Peter Bagge. Feb. 15, 2014. "Rowing Book Deserves a Medal." Rev. of The Boys in the Boat by Daniel James Brown. Jul. 27, 2013. "Bechdel's Narrative Carries Inventive Book." Rev. of Are You My Mother? by Alison Bechdel. Jun. 2, 2012. "Wartime Graphic Novel Often Cinematic in Scope." Rev. of Canada At War: A Graphic History of World War Two by Paul Keery and Illustrated by Michael Wyatt. May 12, 2012. "White-Black Divide Basis for Loyalist Novel." Rev. of Sissiboo River Redemption by Jim Freedman. Mar. 3, 2012.